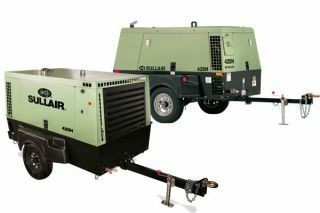 The Sullair 425H portable air compressor is ready to hit the ground running for a variety of job site applications delivering 425 cfm at 150 psig (12 m3/min at 10.3bar) air power. 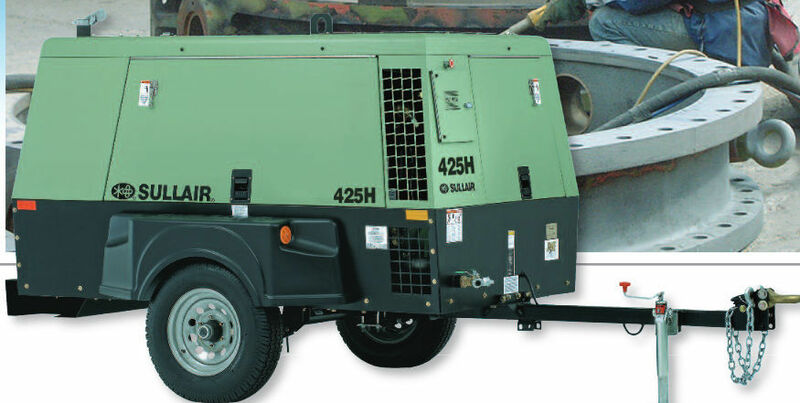 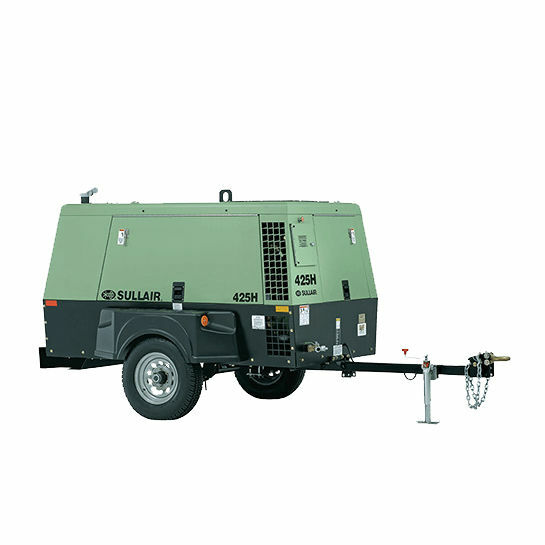 The Sullair 425H portable air compressor is designed for reliability and total accessibility with many standard features and optional enhancements to meet or exceed any job site needs. Powered by available engine options of Caterpillar (T4F) or John Deere (T3) engines also allows for meeting any regional emission requirements.